Once reserved for an industrial elite, 3D printers have been invading education since its democratisation in 2012-2013. Desktop 3D printing has actually already been rather heavily adopted by the school system in France. 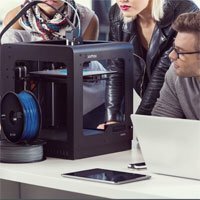 Whether its secondary school education or higher education, 3D printers have managed to attract and prove their interest in the process of training future workers. In fact, 3D printers for education are a way of raising awareness about the technological tools of tomorrow, a vector for stimulating creativity, development of the overall understanding of a project, interconnection of various subjects studied, etc. It's about preparing and equipping students with the keys to effective integration into the working world. For schools, 3D printers help reduce investments in equipment, raw material inventory, reduce design times, allowing more projects, are part of a progressive approach and maintain the enthusiasm of the teachers! 3D printing can fit into an educational framework in two different yet compatible and complementary ways: as a complement to the main teaching materials, and/or to create links between the subjects taught. 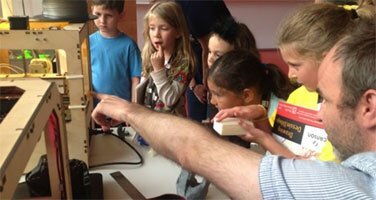 The teaching of additive manufacturing methods can actually intervene as a pure complement to other subjects taught. A clear additional contribution that will enable students to better understand a technology that will be ubiquitous in the future, that will give them an additional skill in the labour market, and possibly open up new horizons in terms of degree course or career choice. 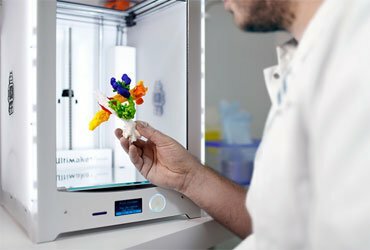 3D printing is also unique in that it easily integrates as a convergence tool for different fields. In this way, giving your students the opportunity to use 3D printing in the learning process is a way to create bridges between subjects such, as mathematics, design, engineering, materials science, engineering, etc. A new pedagogy that will open students up to a global creative and production process rather than integrate dissociated skills, without application, making it to possible bring them together. 3D printing for education is also a way to promote the DIY spirit so as to stimulate autonomy and decision-making, practise comprehending volumes. In line with primary education orientated towards stimulating and maintaining enthusiasm, a 3D printer in secondary school and higher education makes it possible to continue fostering the creativity, enthusiasm and motivation of students and teachers! Some of you may have witnessed the emergence of the personal computer, or the Internet during your school career? Revolutionary tools that were integrated into teaching at the time to better prepare you for the world today. 3D printing is now considered a major new revolution, soon ubiquitous break-away innovation, in brief, an upheaval like that of personal computing and the Internet a few years ago. Could you have imagined not learning about computers in the 1990s? To not open the Internet in the 2000s? 3D printing is the new challenge of the 2010s. And education must integrate it into its programs in order to give the keys of design and additive manufacturing to the players in tomorrow's economy today! 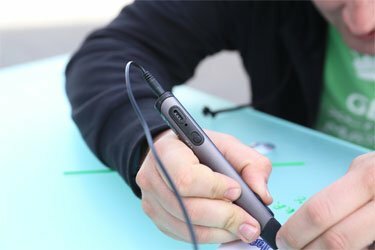 Designers, engineers, researchers, doctors and artists are all profiles to which the teaching of 3D printing is an undeniable contribution to the future. Thanks to the versatility of a 3D printer, teachers will be able to offer quick implementation and execution of various projects. 3D printing makes it possible to effectively replace many traditional manufacturing processes, and thereby makes it possible to free up more time to develop and carry out other projects during the school year. Moreover, a 3D printer provides much greater freedom of shapes than other prototyping and production machinery, permitting the most ambitious and creative projects. Add to that support for many materials, which can also be learned about in class, and you get the perfect educational tool for technical education. As previously mentioned 3D printers have the power to replace various traditional production and prototyping tools. Especially, for general secondary school education, which aims to further open up to manual trades and mastery of tool specific machines, a 3D printer will aid in limiting investments in equipment and consumables by using an "all-in-one" machine. Any new technology arouses interest, passion and sharing. 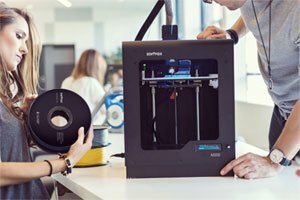 3D printing is no exception and is already bringing together many users and enthusiasts, some of which have already invaded specialised forums. An excellent opportunity for teachers to learn, discover, self-train and discuss additive manufacturing processes. It is indeed imperative that the teacher is as well informed as possible on the capacities of 3D printers, potential adjustments problems, the interest of a particular material, etc. And if forums are not the tool you want to use to perfect this knowledge, Makershop offers training in 3D printing, as well as modelling, in order to start your project at the source. 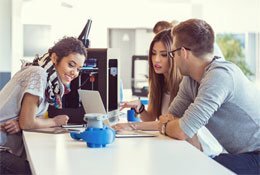 Which 3D printers for education? Makershop is already a preferred contact for education. 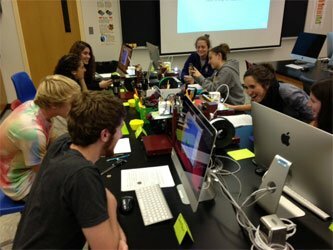 Educational institutions continue to trust us and currently represent a large part of Makershop's clientele. Therefore, we have a deep understanding of your needs and the most suitable additive manufacturing tools. Here are our recommendations segmented by type of education provided. In order to carry out their projects, it is preferable that students have access to efficient and flexible equipment. So, for higher education and technical secondary school education, it is important to provide 3D printers to students offering both high accuracy and good versatility. 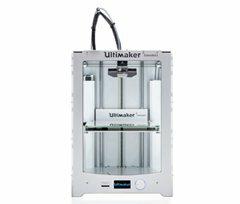 The Ultimaker 2 Extended+ provides the highest accuracy on the market for a fused deposition printer. 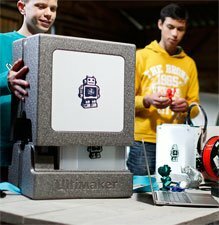 With a large print volume of 20 x 20 x 30 cm and compatibility with all materials, Ultimaker also stands out as a player of choice in education. 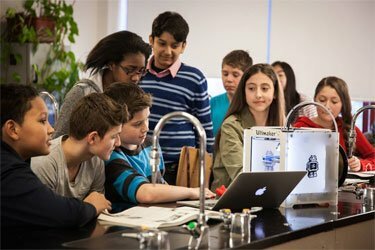 The number of schools equipped with Ultimaker is proof. 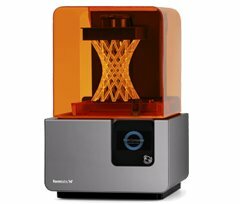 Intended for printing highly detailed pieces, the SLA Form 2 3D printer by Formlabs is the perfect addition to FDM technology. The rendering and detail of printed pieces on a Form 2 is incomparable. The range of materials is developing, with Ultra-strong resins and flexible resins, for example. For secondary school education, we consider it appropriate to focus the search less on the 3D printer's accuracy than on its versatility and sturdiness. The 3D printer must allow printing of various materials and be sufficiently sturdy for use by secondary school students. In addition, a closed housing will avoid roaming hands during printing and protect the printer from workshop dust. 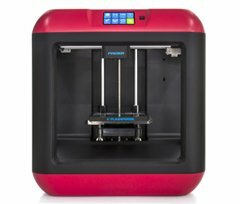 Certainly the most suitable 3D printer for secondary school education due to its regularity, ability to print all materials and its sturdiness. It also has an enclosed housing. All for a modest budget. The FlashForge Finder is an easy 3D printer to handle that's compact, ergonomic, secure and very affordable, making it ideal for education, particularly with a view to exploring 3D printing. Even so, it can print down to 50 microns! Being equipped with an Ultimaker 3D printer is the guarantee of high-quality output and foolproof versatility. 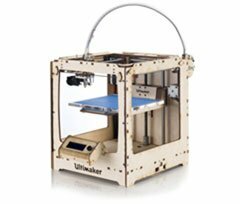 This kit version of Ultimaker 3D printers is an excellent option for all technology courses in secondary school. 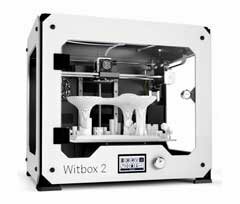 Extremely easy to use and equiped with a closed chamber, the Witbox is perfectly adapted to education. Easy settings facilitates the discovery of the technology, and its enclosure secures the hot parts of the mechanism. 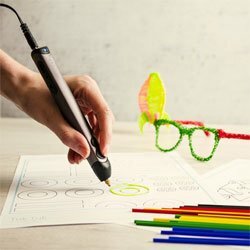 The 3Doodler, the world reference for 3D pens, is an excellent educational tool for the youngest students and a creative tool for artists of all ages!It's very easy to operate and is very similar to a 3D printer by extruding melted plastic that cools and hardens immediately, literally allowing you to draw in 3 dimensions. This is an excellent tool for developing creativity, comprehension of space and volume, concentration and accuracy. 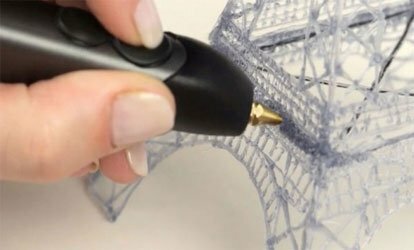 Discover the possibilities of the 3Doodler here. @Copyright: All content present on www.makershop3D.com is the property of Makershop. 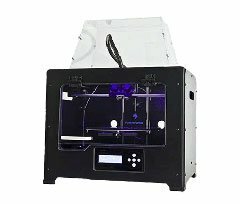 It is strictly prohibited to copy, completely or partially, the content present on www.makershop3D.com, or face sanctions. Content copy checks are carried out regularly.